Hey everyone! Hope you're having a great Tuesday! Fairy Tail Manga Chapter 496. Ever since I started watching the Fairy Tail anime I got hooked. And since I have already finished watching all the TV episodes, OVA and movie. I am now continuing reading it on manga cause I cant get enough of it. It's agonizing waiting for an update though cause only 1 chapter is published weekly. I'm a fan of A Pink Eunji. I just love her voice and smiling personality. As for Kristel Fulgar & CJ Navato I just love listening to their duets since the first time I heard them sing "I was made for loving you". Rain Tears by JL is actually one of the soundtrack of 2NE1 Dara's web drama, Dr Mo Clinic. What to create for my next blog post... Im thinking of a theme to help me easily create a post on the blog next. Since I haven't been blogging regularly, I have a long list of things that previously happened that I want to share with you all. So to help me out I am thinking of a theme for each post to guide me. It will rain later... Apparently, it rain just before I publish this post but it stop shortly. To eat Crepes... Ahhh, I hope I can go out hunt later. There's not much resto who serve delicious crepes here. A budget so I can travel and escape for a moment. Island Souvenir tee with incdo.com ♥ Cagayan de Oro print on it (inserting advertisement ^_^) and pink shorts. oh the anime marathons I used to do some time ago! memories! What a cute post idea, loved what I read. I would love to travel also, just to escape for just a little while, tho. I suddenly craved for crepes. Unfortunately, masakit lalamunan ko ngayon and may singaw pa ko. :( Anyhow, I love this post! nakakarelate minsan ako dito dear hehe..just go on and keep blogging.. Feeling alone sometimes is good, sometimes not... 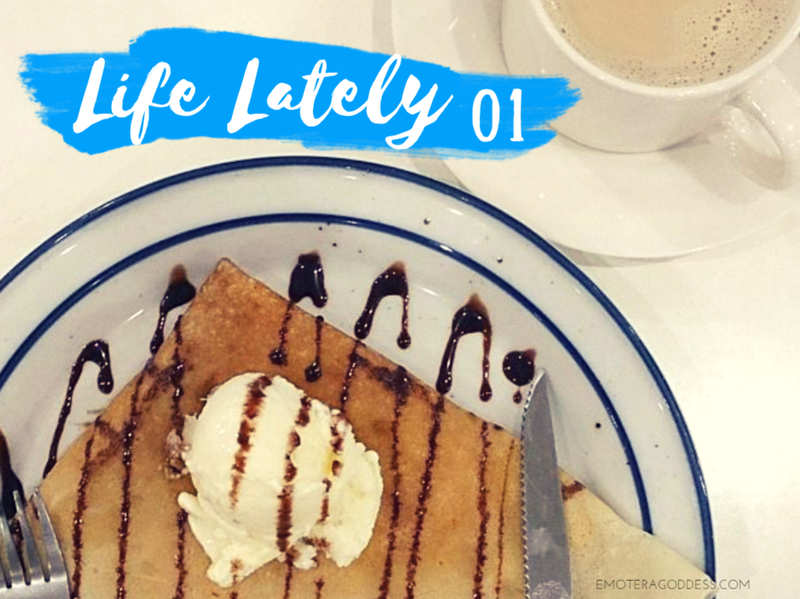 I liked this new kind of post here, and I like crepes, by the way! Routine also bores me, so I hope you can go to somewhere you like! Hope you have a great evening! Just stopping by to say happy Friday.